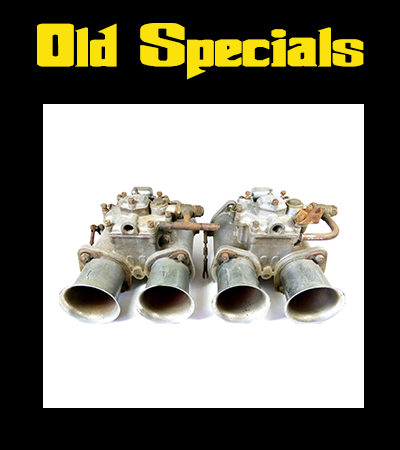 ← Pair of original, Italian Made WEBER 58 DCO3 Carburettors for Sale!! Interesting read about the origin and history of WEBER Carburettors. Born in Turin on November 29, 1889, Edward Weber had inherited from his grandfather, modeller, and his father, technician in the production of machines for spinning and weaving, the passion for mechanics. Graduating from vocational school in 1904, he worked as a laborer in a machine shop and designer. Since 1907 was the FIAT workers’ state, being appreciated for its expertise, so as to obtain in 1912 was promoted to inspector of engines and cars. The following year he was transferred to the branch of Bologna as a foreman. After the First World War, he had held the same post at the branch of Ferrara. returned to Bologna, in 1923 he co-founded with three partners, the Italian Factory Weber Carburetors, with headquarters in Viale Masini, then in Via Cairoli. Despite the good quality of the first carburetor designed, intended to trucks, the beginnings had been problematic, so much so that Weber to take ownership of their own company. Appreciation for an ingenious device to be applied to the carburetors of the FIAT 501, the Bursar-Super-Power supply, led to its adoption for the 505, and with processing, to the sporty versions. But it was a new carburetor, called “cassette”, to give impetus to the production Weber. He also started a collaboration with the environments of motor racing: the carburetors of the Bolognese company will be used on Fiat, Maserati, Alfa Romeo, Ferrari driven by the most successful riders. In 1937, following the decision of the FIAT to mount on his car series carburetors Weber, was made ​​necessary the construction of a large new factory in Via Timava, which opened April 21, 1940, with modern well equipped departments and various services for workers. We had found a job about 400 workers. 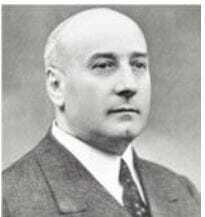 Named in 1937 Knight of the Crown of Italy, Edoardo Weber in 1943 was also awarded the title of Cavaliere del Lavoro. The war, as early as that year, had severely affected the productive activity, effectively militarized and committed by military orders; was then followed the German occupation of the factory, with the consequent transfer of workers and plants in a shed in Bazzano, and finally, tragic end, after the liberation of Bologna, the disappearance of Edward Weber in circumstances that were never discharged 17 May 1947. For the recovery of the Company, fortunately After escaping the bombing, but in great difficulties for the loss of its founder, had actively contributed FIAT, taking over as majority shareholder. Beginning in 1952, the Weber was becoming an integral part of the supply chain of components of the Turin group, merging then, in 1987, in another company subsidiary, Magneti Marelli. The roots of Fabbrica Italiana Carburatori Weber go back to Turin, Italy, and a young graduate of the Polytechnic University of Turin named Edoardo Weber. Though he was born and raised in Italy, the last name was decidedly German–in English, it would be Weaver–a gift from his Swiss father. 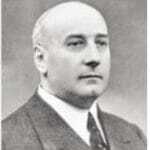 Like so many other European automotive industrialists, Weber got his start with Fiat, using his engineering degree to land a job at the Turin plant before moving on in 1914 to work for a Fiat dealer in Bologna. Gasoline prices were high in the years immediately after World War I, and this led Weber in 1920 to his first commercial success, a conversion kit that would allow trucks to run on kerosene, which was cheaper. Five years later, he marketed his first carburetor, an ingenious device designed to work with an overhead-valve/supercharger conversion for the Fiat’s new four-cylinder family car, the 501. What made Weber’s “Econo Supercharger” carburetor stand out was that it featured two barrels of different diameters. The smaller throat alone was used at low speeds, with the supercharger’s boost simply bled away to the atmosphere; at wide-open throttle, the supercharger fed the engine through the larger throat. Weber soon realized that his carburetor would work just as well without a supercharger, allowing an engine to get good gas mileage at lower speeds, and better performance on demand. It became a popular modification for the 501, particularly among taxi owners. With a longstanding interest in racing–he had driven a 501 to third place at the 1920 Il Circuitao di Mugello, a race in which a young Enzo Ferrari piloted an Isotta-Fraschini to a DNF–it was natural that Weber would be drawn to designing carburetors for competition machines. The Maserati 1,100cc Grand Prix car of 1931 featured sidedraft Weber carburetors with two equal-sized barrels. Alfa Romeo used Weber carburetors on its race cars, too–a pair of 50 DCOs on the supercharged straight-eight of the 2900, and a three-barrel 50 DR3C on the 158. Weber went further, developing carburetors with dual float bowls to prevent fuel starvation in hard cornering. Weber parlayed his success in racing into commercial success. His company became an original-equipment supplier to virtually every car manufacturer in Italy. Fiat, once Edoardo Weber’s employer, now became his largest customer, specifying his carburetors in place of the French-made Solexes that had been favored previously. The agreement between the two companies, reached in the mid-1930s, both allowed and required Weber to build a larger plant, in Bologna’s Via del Timavo. On May 17, 1945, Edoardo Weber left the factory for his evening walk to his home, and was never seen again. Circumstances of his death appear unresolved, although the prevailing theory seems to be that he was among those whose support for the Fascists made him a target of the partisans. Fiat assumed full control of the company in 1952, continuing to expand the product line. Eventually, Weber’s reach extended across not only Italy, but all of Europe. Weber carburetors could be found on Aston Martins, BMWs, Porsches, Renaults, Volkswagens and more. The aftermarket was far from forgotten; conversion kits were available for Audis, Austin-Healeys, Datsuns, MGs, Mercedes-Benzes and Toyotas, among others. 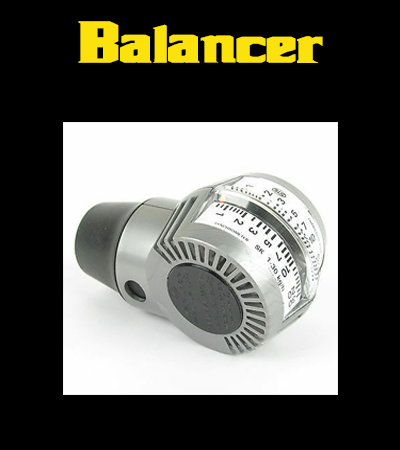 Webers held the promise of better performance and easier tuning than stock carbs, and were an upgrade any enthusiast with a wrench could make. Weber carburetors were first imported to the U.S. in the early 1950s, where they became the choice of competition-minded Jaguar and MG drivers. Weber DCDs were bolt-on replacements for Solexes under the hoods of Opels and Alfa Romeos, while the DGV found a home on many an MGA. In 1986, Fiat took control of Weber’s major rival, Solex, merging both into the Raggruppamento Controllo Motore division of Magneti Marelli, by then also a Fiat subsidiary. Carburetor production wound down as the focus shifted to fuel injection and electronic engine management systems, and ended altogether in Bologna 1992. In 2001, Raggruppamento Controllo Motore was reorganized as Magneti Marelli Powertrain. This article originally appeared in the March, 2012 issue of Hemmings Sports & Exotic Car. Eduardo Weber at far left (around 1933). 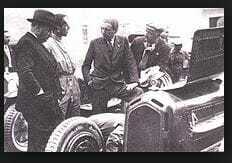 The others are (from left): Giulio Ramponi, Carlo Felice Trossi and Enzo Ferrari of the Scuderia Ferrari team. The car is an Alfa Romeo 8C “Monza”. 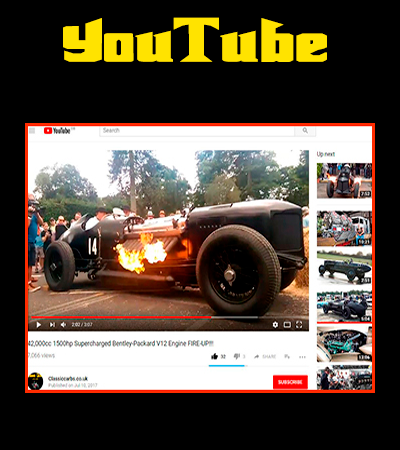 Hope you enjoyed this little bit of auto history. Thank you to bitsofItaly for putting it together!